View www.georgelewisclassiccars.com for more photos of this 1957 CHEVROLET BEL AIR 2DR H/T, SOLID TURQUOISE with TURQUOISE AND BLACK STOCK INTERIOR, Automatic 400 L 60 Transmission, New 502 Cubic Inch GM Crate Engine with 4 Barrel Carburetor, Polished Aluminum Radiator and cooling fan, Chrome Alternator and air condition compressor, power steering, power disc brakes, air condition, New Dakota Gauges in dash, Tubular A frames, New shocks and bushings, Highly detailed under hood including fire wall, enter fenders and grill, Powder Coated Frame, Radiator support and underneath, Highly detailed trunk, Intro Polished Aluminum Wheels 18'' front and 20'' rear with like new tires, Super Paint with Excellent Chrome and Trim. 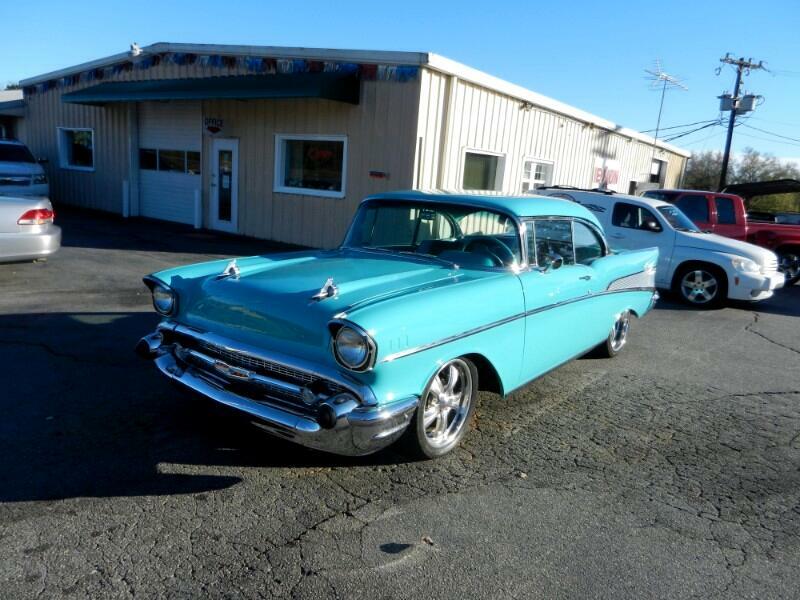 This 1957 Chevrolet Bel Air 2DR H/T is a Super Nice Chevy in Every way. No Apologies, A must see and drive to appreciate, ***REDUCED TO SELL @ $48,995. ***** Call George Lewis or Duane Wilson @ 1-866-959-4037, or 1-864-269-6000, or 864-361-0029, or email us for a test drive appointment @ glewisclassiccars@yahoo.com. YOU WILL LOVE THE FRIENDLY GEORGE LEWIS AUTO SALES CAR BUYING EXPERIENCE! FIND OUT FOR YOURSELF WHY OUR AUTOMOTIVE SHOPPERS LIKE SHOPPING WITH US.